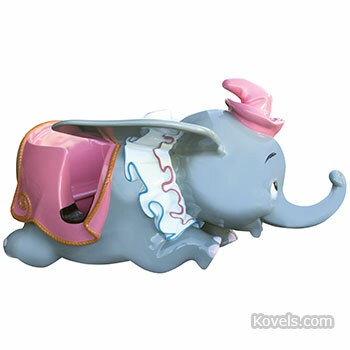 Tapping into happy childhood memories is part of the allure of Disney collectibles, including toys, books, animation cels, theme-park souvenirs, and other items produced and/or licensed by The Walt Disney Co. A recent sale included this car from the “Dumbo the Flying Elephant” ride. Fly on over for more about this car (you will be amazed at this price!) and other unique Disneyana items.